Annual electricity consumption 925.6 Twh. Annual CO2emissions 1,994.4 million tons. More savings are achieved if other inefficient technologies are phased-out from the street, public, commercial or industrial sectors. This would be equivalent to removing about 5 million vehicles off the road. 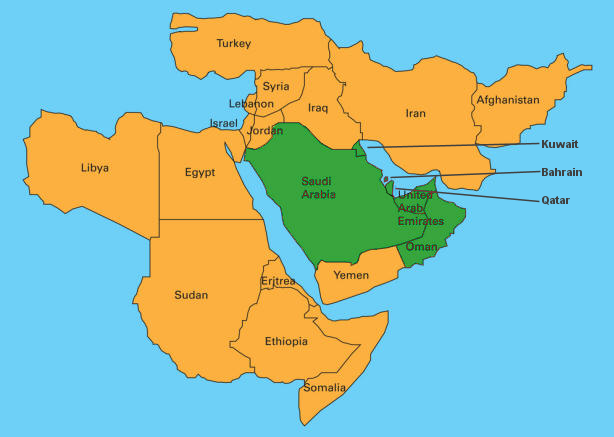 Egypt, Iran, Saudi Arabia and Turkey are responsible for 65% of the region’s energy consumption. Six countries distributed 100 million CFLs: Egypt, Lebanon, Iran, Turkey, Morocco and UAE. The cost for the region to transition to efficient lighting would be US$2,8 billion, with a simple payback of 1.7 years. First National Energy Action Plan (NEAP) in the region 2011 refers to a phase out plan for inefficient light sources in households (Lebanon). Best practice in supporting policy exists such as CFL VAT exemption (Jordan). Work on promotion of CFL’s in the region started in 2005. Saudi – The Saudi Energy Efficiency Program (SEEP) is in the process of drafting regulations which focus on the phase out of least efficient light sources in residential and commercial/professional lighting. Please contact the MELA secretariat for more information. Other countries – News will be posted to this section of the MELA website once information becomes available and has been verified.